Many workshops and events are coming to Lee’s Martial Arts and Playhouse Northwest Acting School in 2017. Look at some of our past offerings and check back soon to see what we have planned for Summer 2017! Call 206-938-3375 for more information. Playhouse NW is turning 3 years old and we have much to celebrate! For 3 years we have been putting education and actors FIRST. Please join us for cake, refreshments, music, and good cheer on Monday June 20th. You are welcome to take that night’s class for FREE, starting at 7:45 p.m. ( It will also be our last class before we go on Summer hiatus) . If you can’t make class, the celebration will start at 9:45 p.m. We would love to see you — friends and family are welcome, too. Learn street awareness, boundary setting, verbal and physical self-defense and improvised weapons. Recommended for ages 11 & up. Especially good for girls going off to high school and college. Wednesday, June 15, 7-9 p.m.
You’ll be taken through various exercises to get comfortable with the fundamentals of stunt combat: safety, skeletal alignment, distance, timing, camera awareness and how to play to various angles, selling the fight, and choreography logic. Sunday, June 26, 10 a.m.-1:00 p.m.
We’ll go through the system created by Anthony De Longis, starting with lightweight Western swords, then move on to heavier broadswords and the Japanese katana. 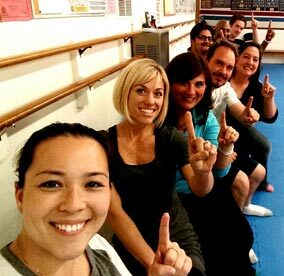 Anthony’s universal method will expand your understanding of theatrical sword fighting and sharpen your skills immensely. Kendall Wells is an actor and action performer who has studied under Anthony De Longis for 11 years and counting, and is one of very few people certified to teach the De Longis method. Kendall has been trusted to perform action with such actors as Elijah Wood, Manu Bennett, Rebecca Romijn and more. He brings his full passion for teaching to every class he instructs and cares deeply for the progress of all his students. * Note: The next level of Early Bird Special for summer camps ends June 2nd. This camp has been a favorite for over a decade. It includes: Tae Kwon Do, board breaking, acting games, bowling party, ice cream social, kickboxing, kids self-defense, fire safety, dodge ball, speaking Korean — and much more. For ages 4.5 to 12 years old. * After care available on request. By the end of the week, all of our students will have the opportunity to demonstrate the skills they have learned by going into the second week (102) and participate in their very own short film production. This student production will be cast, written, rehearsed, taped and edited. Professional writers, directors and make-up artists will be involved, as well as the film and television students from Central Washington University’s film school. The kids production will be screened at a local theater or venue at a later date for their friends and family to enjoy. Read More About the Instructor: Lisa Skvarla here. Acting Play Dates at Playhouse Northwest! 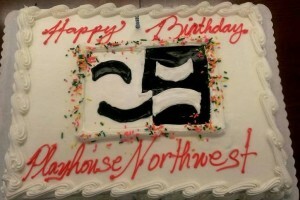 Happy 4th Birthday Playhouse Northwest Acting School!